The DNA double helix is highly malleable and, when constrained, either as a small circle or by the action of a protein, can be readily distorted from its energetically favored conformation. Such distortions may be relatively moderate, as exemplified by smooth bending (which maintains base stacking), or more extreme when this stacking can be disrupted. Deformations of this latter type include kinks, where the direction of the double helical axis is changed abruptly at a single-base step, and localized strand separation, which may be a direct consequence of protein-induced unwinding or of high negative superhelicity in free DNA. 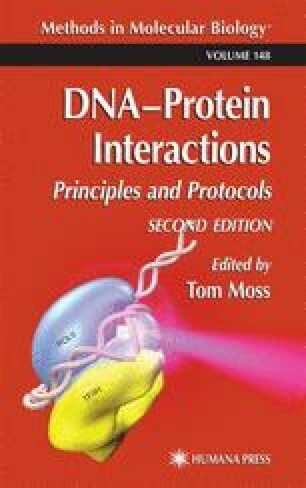 Both kinks and localized unwinding can arise transiently during the enzymatic manipulation of DNA by recombinases and by protein complexes involved in the establishment of unwound regions during the initiation of transcription or of DNA replication.